Human's Dust is a live performance DVD which contains the band's live performances and interviews from 2002 and 2004 from various locations. The DVD was released by Metal Mind Productions on June 9, 2008 in Europe and June 10, 2008 in the United States. The title comes from the song of the same name from the band's debut studio album, Winds of Creation. The main feature of the DVD consists of the band's October 2002 live performance in Kraków, which was a part of their European tour with Vader and Krisiun. Bonus footage includes live performances recorded during Ozzfest in Poland in May 2002 and Metalmania festival in March 2004, the music video for "Winds of Creation", and three interviews recorded at various locations with Vitek, Vogg, Sauron and Martin. The DVD also includes a photo gallery, biography, discography, desktop images and weblinks. The First Damned is a demo compilation by Polish technical death metal band Decapitated. It was released on November 20, 2000. It is a compilation of demos, Cemeterial Gardens and The Eye of Horus, and two additional live tracks recorded during the Thrash 'Em All Festival in 2000. The First Damned was released on one disc. Released on October 31, 2000 via Relapse Records. 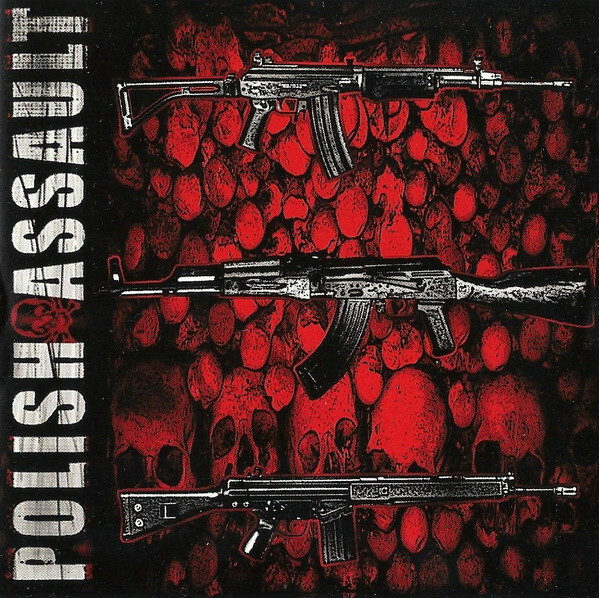 POLISH ASSAULT is split album with Yattering, Damnable, and Lost Soul.